Young Presidents Organization (YPO) is a global organization with more than 30,000 top business leaders who are “committed to lifelong learning and idea exchange.“ YPO’s signature program is forum, a safe haven for CEOs to provide and receive insight and perspective from trusted peers in a highly confidential, supportive, and productive setting. A fully Certified YPO Forum Facilitator and Global Education Resource, Andro has been a trusted advocate for leaders, partners, and families since 2002. In addition to delivering powerful forum experiences, she works with Regions, Chapters, and Networks to deliver high-impact growth and development workshops. Structured programs that enable forums to launch, stay healthy, and navigate challenges and growth. An introduction for new, curious, or prospective members who want to learn about the forum process. Designed to give new members and their spouses/partners a solid foundation and experience with the principles and protocols of this most-valued YPO experience. Current and future moderators learn how to run high-impact meetings using the forum protocol, deal with diverse styles and roles, navigate challenging situations, and lead with influence and compassion. A forum “tune-up” on process and protocol. Or a reboot for forums experiencing growing pains, transitions, conflict, or stagnation. A life-changing retreat to expand how members explore issues, solve problems and communicate. This program develops muscles of self-awareness, curiosity, and thoughtful interaction which are used in the 4-Step Forum Exploration. She has a passion for making a real contribution to people’s lives, and a talent for seeing people at their highest potential, and when you speak to the highest in people, they see the highest in themselves, and transformation can take place. As a busy entrepreneur, business owner, or C level executive, it can be difficult to maintain a balance between what drives you in business and what you need in your personal life. Andro will give you an opportunity to articulate your values, goals and dreams; to express difficulties and stresses; and to rediscover your drive and passion if you need to. Our actions can be constrained by what we think we can and can’t do. 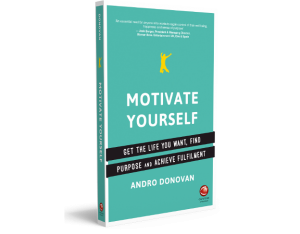 Using a professional coach like Andro for your retreats will help you uncover limiting beliefs, freeing you to be more positive, take new actions and generate long-lasting change in all areas of life. When you are aware of your values and vision, you are causing your life to happen rather than being at the effect of it. This 3-3.5 hr programme introduces members and spouses to Forum. It is an interactive and captivating process after which the participant will grow to understand and experience why YPOers name forum and the key benefit to their membership. The Objective of Transformational Forum Training is to transform the type and depth of discussions to deep and meaningful levels. This offers the opportunity for continuous member learning-about themselves and about how to interact in a more open, personal and authentic way. 1. Most issues that people face in life, be they personal or professional, have a strong emotional component. ‘Should I sell the company?’ is not just a matter of finances,but also about one’s identity and legacy. 2. Our efforts to be rational problem-solvers can block the success in solving our most important issues. The emphasis on rationality drives out listening to our emotional needs. It leads us to to want to stay invulnerable which limits the extent we are curious and exploratory. Since others also want to be rational, their attempts to logically problem-solve our issues means that their suggestions are frequently not useful. 3. People’s behavior is quite consistent across different situations. Even though we do modify how we act depending on whether we are with family, friends, or colleagues, there is still an under-lying consistency across these settings. Transformational Forum Training uses these three assumptions to change the nature of the conversation within the forum meetings.